Daniel is the Chair of the Property Council’s Mainstreets Committee. 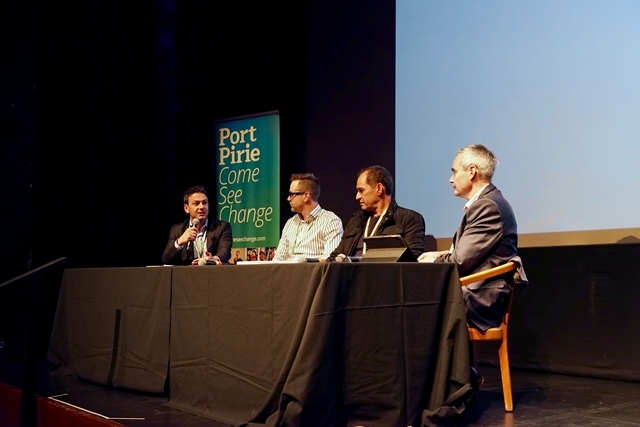 Daniel together with Ashley Thomson and Con Maios formed a panel discussion facilitated by David O’Loughlin at the annual MainstreetSA Conference located in Port Pirie. The panel discussion was focussed on the perspective of the landlords of properties situated within mainstreets. The key topics discussed were focused on Council interface, unification of the mainstreet, pressures and perceptions of the landlords with a focus on thoughts as to areas of improvement.